Mont St. Eloi. 10 Bn Canadian Infantry. 1 May 1917. Home Battles & Offensives Mont St. Eloi. 10 Bn Canadian Infantry. 1 May 1917. The 10 Bn Canadian Infantry had been in action on the opening day of the Arras Offensive, 9 April 1917, during the Canadian assault at Vimy Ridge. The attack had been successful and the battalion spent the next week in the support and front lines near to Farbus at the southern end of the Ridge. 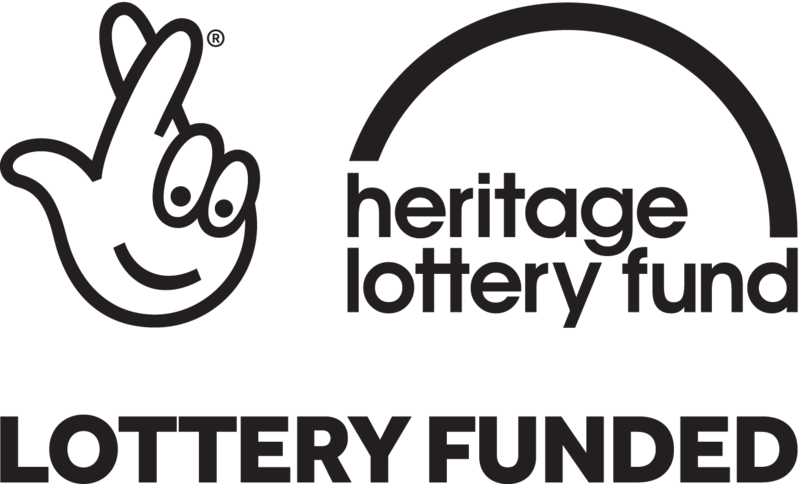 At the end of the month they were again in action during the Battle of Arleux, 28-29 April when they achieved and consolidated their objectives. 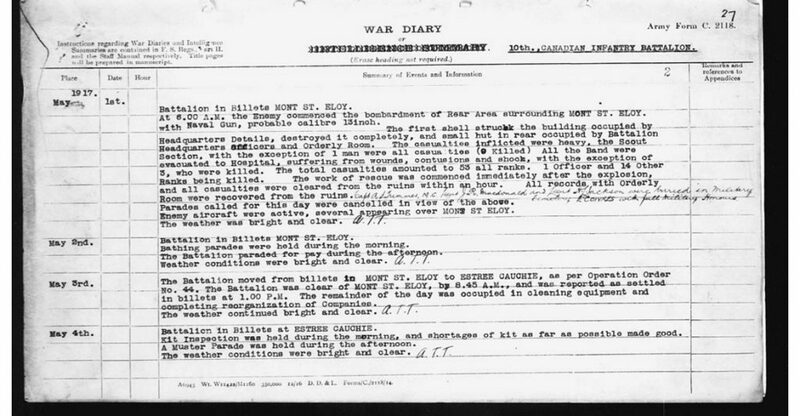 On 30 April they were withdrawn and went back to billets at Mont St Eloi. Canadian National Archives. 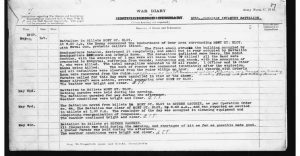 War Diary 10 Bn Canadian Infantry. 1 May 1917. B&O 1917. Arras. Mont St. Eloi. 10 Bn Canadian Infantry. 1 May 1917.